The CityGreen® modular StrataCell system® has taken on Manhattan, New York with smashing success. 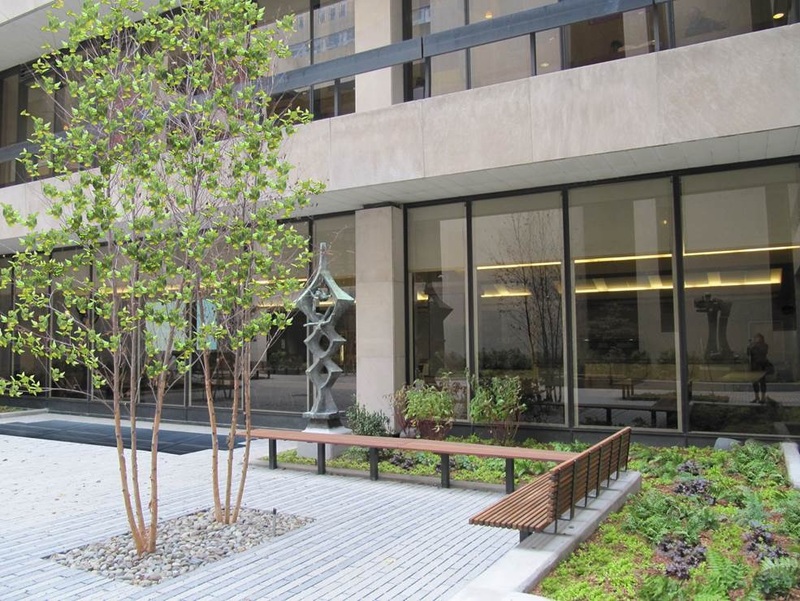 The One Pace Plaza project for Pace University required the total removal and replacement of all planting, paving, seating, lighting, decorative fountain, and related site appurtenances. The revitalised courtyard is now more functional and welcoming, and new trees are located within the paving system where the StrataCell system was installed. 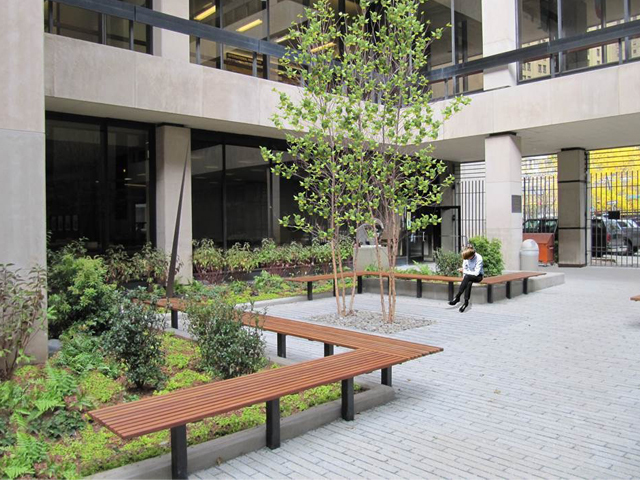 AECOM designed the complete renovation of the Pace University courtyard, which started in June 2012 and was completed in October 2012, with a total budget of US$900,000. One Pace Plaza is the flagship building complex of Pace University. Located directly across from City Hall and adjacent to the Brooklyn Bridge, the building was designed specifically for the university and completed in 1969. It houses most of the university’s classrooms, administrative offices, student union, community theatre and an 18 floor high rise known as Maria’s Tower. “The client wanted to create a central gathering space that was flexible in programming with seasonal interest and a more contemporary design in keeping with year round school programming, and also matching raised standards in other campus and lower Manhattan neighbourhood renovations that are lifting the overall aesthetic character of the neighbourhood,” says Adrianne Weremchuk, landscape designer from AECOM. Two tiers of StrataCells were used together with the RootStop®barriers. 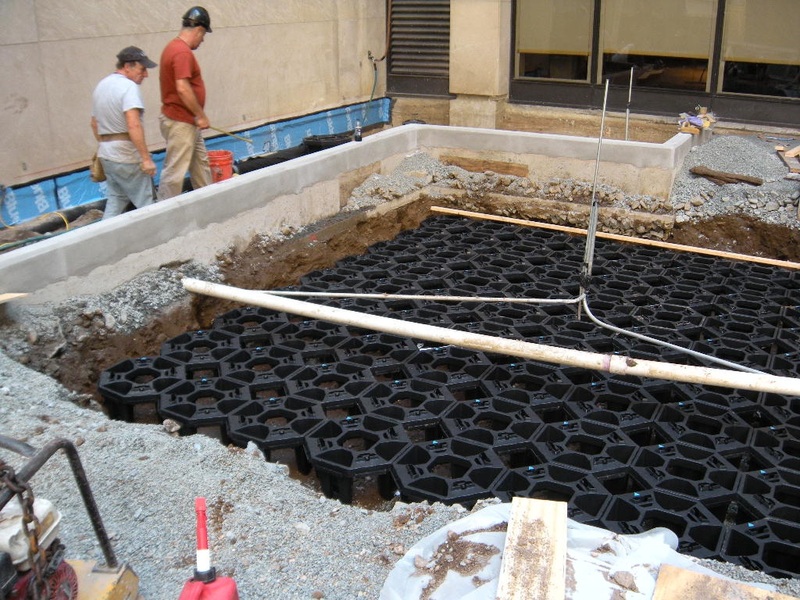 The StrataCells structural soil cells, manufactured from 100 per cent recycled polymer, can be assembled to form a skeletal matrix that supports pavement and traffic loads. This features almost five times more available growing media compared to the traditional rock/soil method, therefore facilitating healthy root growth. Because of its high structural integrity, these matrices can be used beneath trafficked areas. The RootStop root management barriers are continuous, non ribbed root barriers designed for the larger application of protecting infrastructure and services. Because of its market leading puncture resistance and strength, the RootStop has become the root barrier of choice for specifiers and utility companies requiring root free service corridors. Aside from being easy to install, its flexible design also allows the barrier to curve around obstacles. Like the StrataCells, it is environmentally friendly as it’s made of 100 per cent recycled polymer. “The CityGreen system was easier to install than I thought it would be once the area was prepped,” Anthony says. Adrianne from AECOM also said the system provided a solution to the design intent to completely pave the courtyard while providing trees throughout. “It enabled us to provide for three pairs of trees to be installed within the paving system. 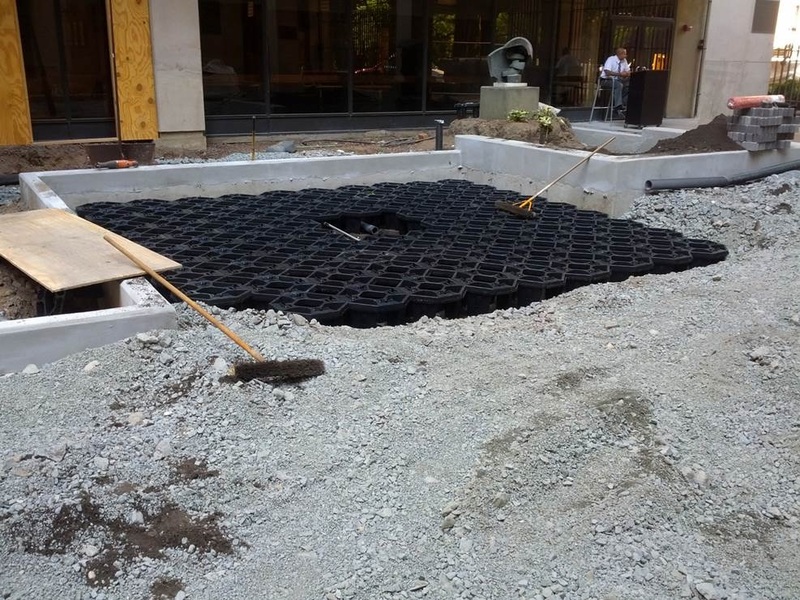 The StrataCell is intended to sustain the trees with a larger soil bed that would allow for more extensive root establishment, while structurally supporting the paver system above,” Adrianne said. AECOM found that the StrataCell’s modular octagonal design allows for a more flexible layout. “We found this system to be a more cost-effective option for our client than others that we reviewed,” she added. Anthony said the system fits very well with the overall design and has had no issues since the project was completed. Because of his experience, he says he will use it again if future projects specifies for such a system.